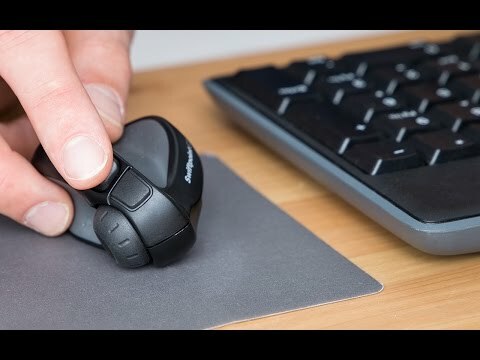 Swiftpoint is a gesture mouse—use its ergonomic, pen-grip design to comfortably and easily gesture like you’re using a stylus on the screen. It's less likely to cause carpal tunnel or repetitive strain injuries, too. And it charges incredibly fast. A 2015 Best of Innovation award winner at the Consumer Electronics Show. Dimensions: Mouse: 2.2" x 1.7" x 1.7"; Case: 4.8" x 2.75" x 2.25"
Weight: Mouse: 0.05 lb. ; Case: 0.28 lb. We have 3 of them, they are small, easy to take with you, reliable don't have to worry about batteries. 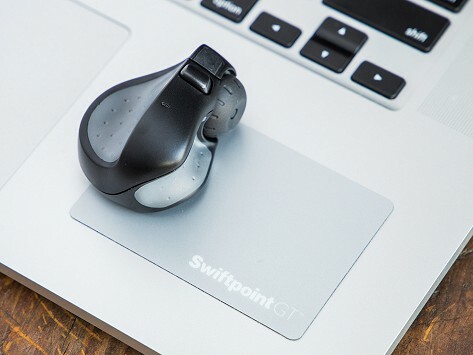 With better control and an ergonomic, ultra-portable design, Swiftpoint will win you over in a few swipes.